NOTE: The following story was originally published in the June, 2010 issue of the Korean-language “Korea Forum” magazine, on the 60th anniversary of the beginning of the Korean War. It has been translated into English by the author. 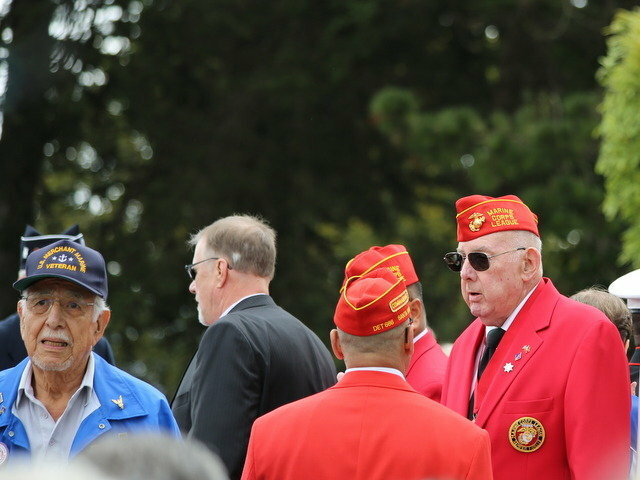 Photo: Korean War veterans at the opening of the Korean War Memorial in the Presidio of San Francisco, August 2016. On the left, in blue: Frank Mendez, U.S. Merchant Marine veteran of the Korean War and Korean War Memorial Foundation Board member. As I travel, I naturally interact with other travelers. I will chat with them, then move on to continue my tour. It just goes by. While we talk a little, we shake hands formally and say our names. You do not have to remember. The other party will do the same. But in October 2009, I had an unexpected conversation with another traveler that I will never forget. 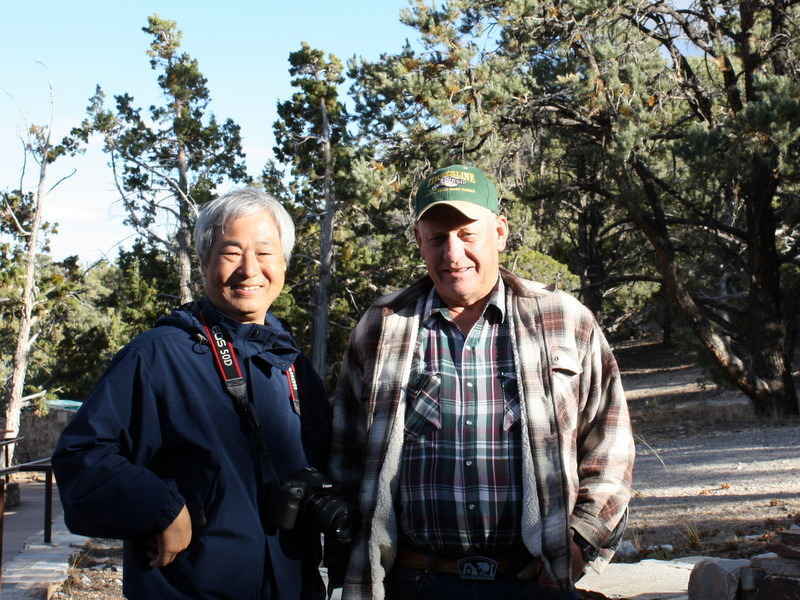 Located in the Great Basin National Park, Nevada’s only national park, tours of Lehman Cave are guided by rangers and are mostly retired people, with ten people per group. One lady walking behind me, who was in her late 60s, asked me where I came from. Typically, if I answer that I live in San Francisco, most people probably assume that I am Chinese. So instead when I travel and introduce myself, I reply that I came from Korea. Her husband replied by saying “안녕 하세요?” (hello in Korean). I said “Nice to meet you!” And I thought he must be another G.I. who had served in Korea. “Oh, you are talking about 치악산 (Chiak Mountain)”. “Chiak Mountain – will you please remember that?” he asked his wife. Like many husbands, he asks his wife to remember important things. “Do you still have it?” I was curious to know what it might be – a wooden carving, a traditional doll, or a crucifix necklace? “Of course I still have it – I have it right now! Would you like to see it?” With a big smile, he carefully lifted the left hem of his pants. I see the top of his cowboy boot, adorned with small metal pieces. The pants continued to rise, little by little, until he stops slightly above the top of the boot. Then I see his leg above the boot – it is extremely thin, just bone and pink skin without any muscle. It is narrower than my wrist. It’s not a normal looking human leg, and I’ve never seen a leg like that before, but I didn’t feel disgust at its appearance. Is this possible? You have 50 years to live like this because of your legs. And who did you come to for this? At that moment, I am just sorry about this person, and I cannot express myself. I stood upright in front of him without knowing and saluted him (I am a veteran of the ROK Army myself). “Thank You Sir! I sincerely thank you for serving my country.” I felt deeply thankful from the bottom of my heart. Sometimes, we can express things to one another without words – he understood my sincere thankfulness, and tears began to appear in his eyes and his lip began to quiver. The wrinkles around his eyes filled with his tears without flowing down. My eyes also began to fill with tears and began running down my face. Then our wives also began to shed tears. I stepped forward to embrace him and patted his back. He returned the hug with even greater strength, and said “Thank you.” An hour ago, we did not know one another, but now a 70-year-old American and a 60-year-old Korean were embracing one another, our hearts flooded with emotion and connected by a shared understanding. His wife gently brought us out of this serious moment. “Honey, you were in a hospital (MASH) when you were in Korea. When you learned Korean from a Korean boy, tell me what you said. Let’s see if it’s true.” The husband says “나 당신을 사랑 합니다. 뽀뽀 해주세요.”. The wife looks at me to translate this for her. So I said “Hahaha – you really learned a great phrase for your wife! That’s right – he said ‘Honey, I love you – give me a big kiss!’” She was so delighted. I wanted to know their name and address to send a card at Christmas time. However, I was afraid that if I asked for their address, they would feel obliged to invite me to visit them. Instead, I only asked for their surname. They told me it was Olson (or Wilson? – I may have misheard it). Oh, Mr. Olson You are a Korean hero. I am not alone in saluting you. It is a sign of gratitude on behalf of all Koreans. Please continue to love Korea. Forget about the pain you received while you served in Korea. I know that you returned from Korea with a very painful souvenir. As he walked away to his car, I saw that even with his leg, he was able to walk normally and I could not tell his leg was injured. My heart was a little lighter. During the three years of the Korean War, 36,574 American servicemen were killed. Also remember that 103,284 were wounded. Who did they sacrifice for? I grew up learning about the American effort to save our country, but I learned it as a child so it was only an intellectual understanding. I didn’t truly appreciate the human cost, until I met Mr. Olson. Did I ask myself, do I really know the cost they paid for Korea? Thank you to all of the Korean War veterans and their families – who lost husbands, fathers, brothers, and sons, and those who came back injured. Postscript: A Korean War veteran friend Mr. John Stevens attempted to locate Mr. Olson for me. He found a few telephone numbers to try, but I was unsuccessful in finding him. Thank you Mr. Stevens for your efforts – I hope that one day Mr. Olson and I might talk again.